Alright, today I’m feeling like a manga/light novel-oriented question: which series do you most wish would be brought over to North America? I would say My Teen Romantic Comedy SNAFU here, except Yen Press announced that they would be bringing the series over next year! So instead, I’m going to go with a super likely but technically unanounced one: Saekano’s light novels. Yen Press announced the manga series at AX, but has yet to announce the LNs yet, and I am really looking forward to that one coming over here. Fingers crossed. 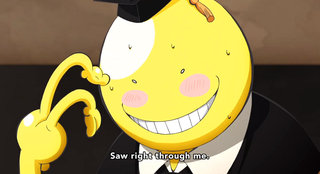 Header from Assassination Classroom, a manga series currently published in North America by Viz Media. Ani-TAY Drop (July 5th, 2015) - Weekly Roundup of All things Ani-TAY! Hey guys it’s the Ani-TAY Drop, the weekly roundup of all things Ani-TAY! Sorry for being late!